If you haven't heard, YouTube TV experienced an ill-timed outage yesterday. Well, I suppose there is never a good time for a service disruption, but still, this was during a rather important sporting event. What game was it? The big World Cup match between England and Croatia. I'm not a fan of soccer, but I can understand how having your TV service disrupted during such a major game could be annoying. If it was during the World Series or Super Bowl, I'd be rather upset. YouTube TV apologized profusely on Twitter, and ultimately, the service was restored long before the match was over. In other words, subscribers were able to experience England's crushing defeat. If you weren't satisfied with the apology, YouTube TV is offering something that should make up for the inconvenience -- a free week of service. Earlier today, YouTube TV sent the below email -- with the subject line "We let you down" -- to subscribers. Yours truly received the email despite not even trying to watch the soccer game, so it seems all subscribers will get the one week credit. How exactly that will work remains to be seen. YouTube TV costs $40 a month, so I am guessing everyone will get around $10 subtracted from their next monthly charge or see that amount credited to their credit/debit card account. 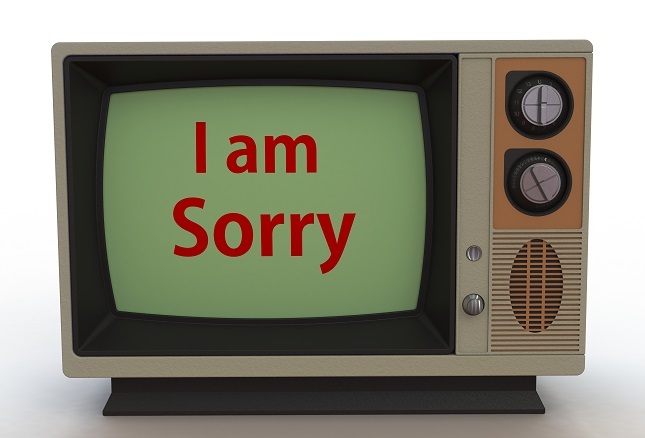 We're really sorry for the recent YouTube TV outage during the FIFA World Cup Semifinal. We love our TV as much as you do, and our goal is to make sure that you can access your favorite TV - whenever and however you want. Any recordings of the full game or anything else you were recording should now be available uninterrupted in the Library tab. If you are still experiencing issues, please let us know via email, phone, live chat, or @TeamYouTube on Twitter. To help make this right, we’d like to give you a week of free service. You’ll receive another email soon confirming your account has been credited. As you can see, the Google-owned TV provider truly cares about customer satisfaction -- the message seems very sincere. You know what? I am both satisfied and impressed by how YouTube TV handled this issue. Sometimes you need to see how a company responds to adversity to truly know the value of its service. I stand by my recommendation of the TV provider, and urge you to read my review here.